A "shared custody" compromise might be just the way to work things out. But will the arrangement be successful? Mac and Flynn are willing to try it—and along the way, they just might fall in love. This book made me cry, twice! I loved the concept of this book – guy loses dog, someone else finds it, and they decide to share dog, fall in love. That all sounds great, but the book was missing something for me and I can’t put my finger on what. I felt the love both Flynn and Mac had for Barley that seeped through the pages, and I could tell how much Mac loved his landlady, but other than that, I didn’t feel the chemistry between Flynn and Mac. I wanted too, but I couldn’t. I found myself skimming the pages at times because there wasn’t much dialogue. It was a sweet story, just missed the mark for me. Dogs get me every time. I kept crying through this book – first for Flynn, then for Barley, then for Mac… But while this is an incredibly sweet doggie story, I found myself slightly disappointed with the romance between Mac and Flynn. This is a relatively simple story and it is fully explained in the blurb. I loved the way both men moved from instinctively selfish, defensive reactions to the situation, to more kind and considerate responses to each other. But while Mac and Flynn work as co-parents for Barley, their journey from attraction to happily ever after gave me whiplash and the happily ever after (or happy for now) really didn’t work for me. The story ends without properly tying everything up and the epilogue offers a glimpse of a future I really didn’t like without properly explaining how they got there. Barley is a fully developed character in his own right and I absolutely loved him. Flynn’s best friend and Mac’s landlady add colour and a little objective wisdom. But I did struggle to believe in the romance and love between Flynn and Mac. Ultimately, this is a very cute, very sweet and slightly sad dog story. I’d read it again for Barley and the lovely glimpses of the Pacific Northwest. 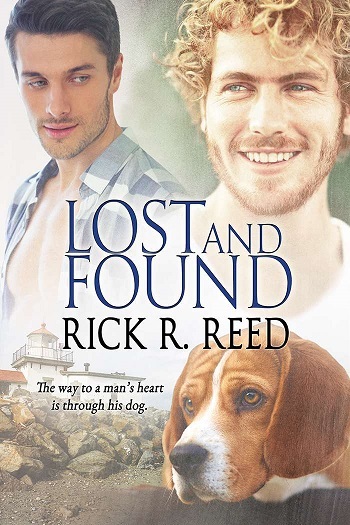 Reviewers on the Wicked Reads Review Team were provided a free copy of Lost and Found by Rick R. Reed to read and review.